Not everybody needs great high end equipment at home to cook great meals, I certainly do not have the greatest kitchen in the world, although I really wish I did. Here are things you must have at home to be able to cook great and still make sure that you do not break the bank! Please note that this blog post has affiliated links, this post is to help you as well as me in keeping this website up and running. Any help is and always will be greatly appreciated. 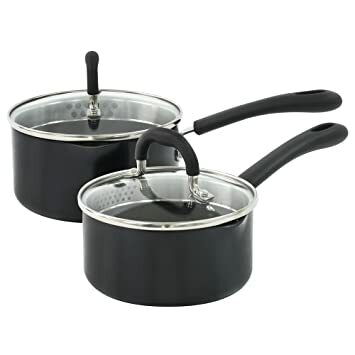 I cant stress this enough, no matter what anyone says, you really do not need a set of ten or twelve saucepans, you basically only really need two. A big one followed by a medium one. A medium saucepan is great for sauces, heating liquid or rice where as your large one gives you space. Perfect for pastas, stews or when you are cooking in bulk. Which will keep your costs down. If you take good care of your pots, they will last you a life time. You really want to get a stainless steel one. The heavier the bottom, the more heat it conducts and you really want to get some with lids to make the saucepans heat up more quickly. This set of non-stick induction pans will do everything you need it to. It certainly wont cost much and you wont be buying another in a hurry. Click here to view. You only really need three knives, a small knife, good for peeling vegetables. 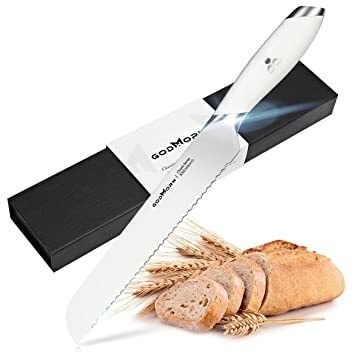 A heavy duty chopping knife and followed by a serrated knife for slicing and carving. These three knives below I have used in my kitchen and a recommend to the budding culinary star in you. First off the chopping knife. This is used for chopping just about anything. Its handy and practical and if you take good care of it, will stay sharp for a long time. At a price of £19.99 this is a bargain and will certainly save you money in the long run. You can view this here. 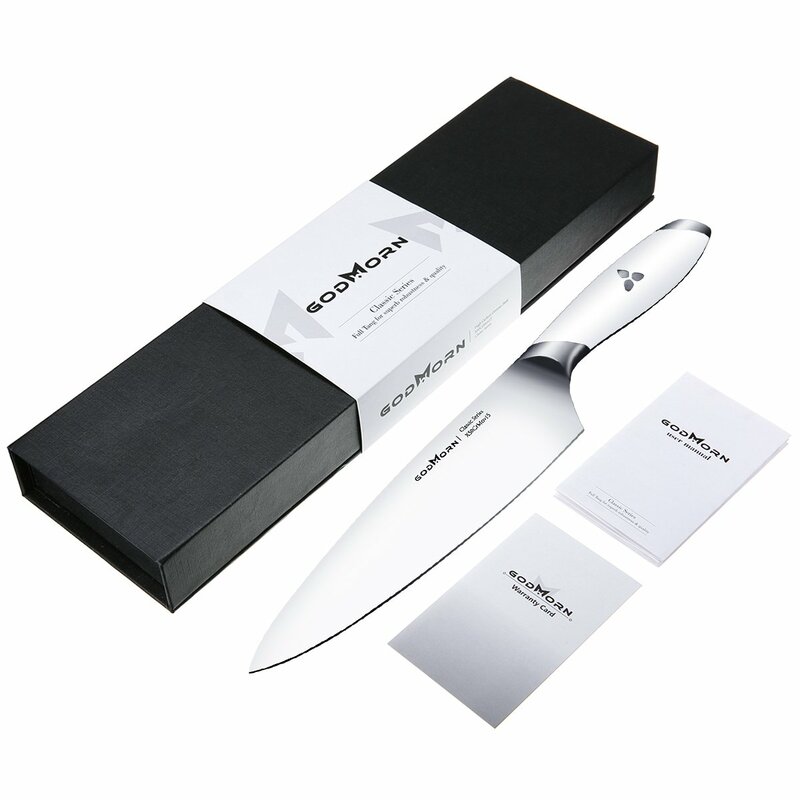 The serrated of this brand is also a steal at the price of £19.59 it will aid you dramatically in carving up those meats in a Sunday roast. 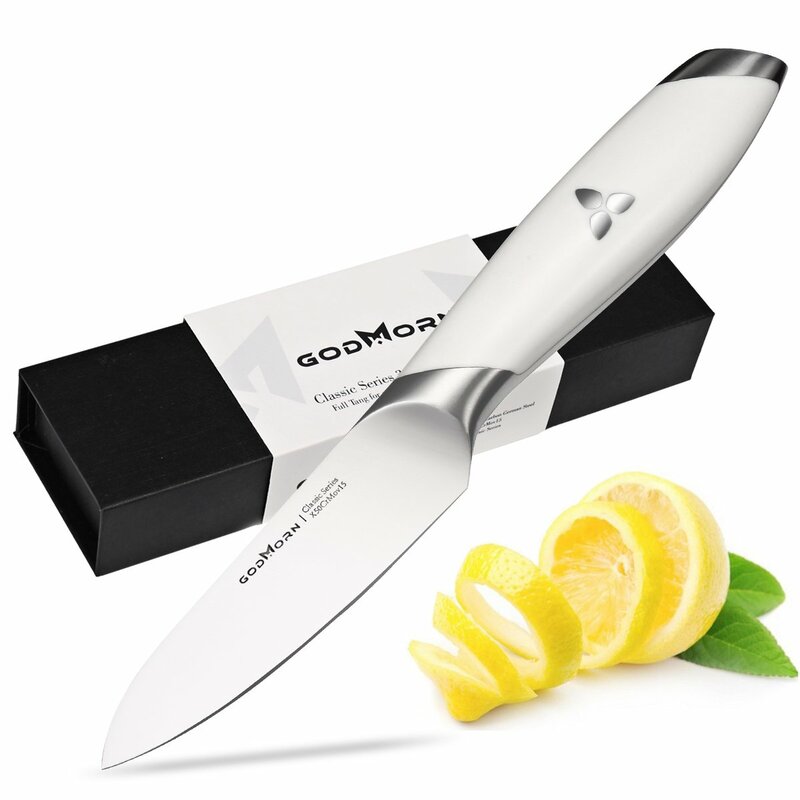 The vegetable knife, great for peeling and cutting just about anything, great for fruit to. Again you can find this here. To get the most out of your spices, there is only one piece of kit you need. 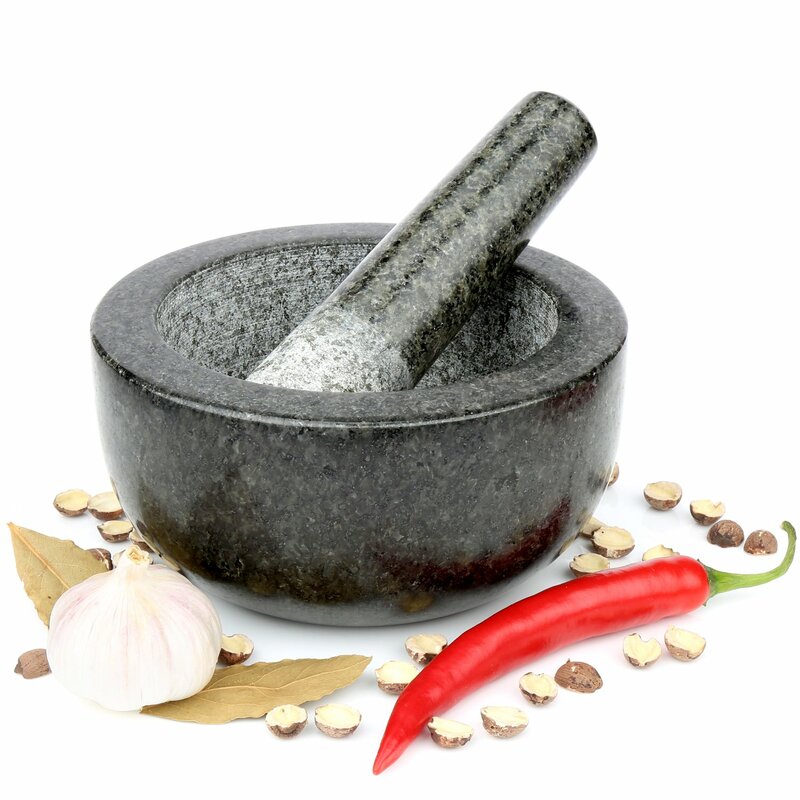 A Pestle & Mortar. They look amazing and are very durable. Such an ancient piece of equipment still used in kitchens for day to day life everywhere. They are great to for mixing spices and even making quick salad dressings. They are pretty much indestructible and for around £15 for a decent one, you cant really go wrong. That’s why they deserve to be on this list today. Click here to view this masterpiece. Personally one of my favourites. Its completely versatile. You can pretty much do anything with one of these things. The only thing you lack is the amount you can put in. As long as you are not trying to make a stew or a soup in one of these, you can pretty much cook whatever you like. Same rule as the saucepans above, take care of this and it will last you a lifetime. My favourite for starting out is this one below. The price is great and you wont be buying for another for years to come. To view this amazing deal, click here. 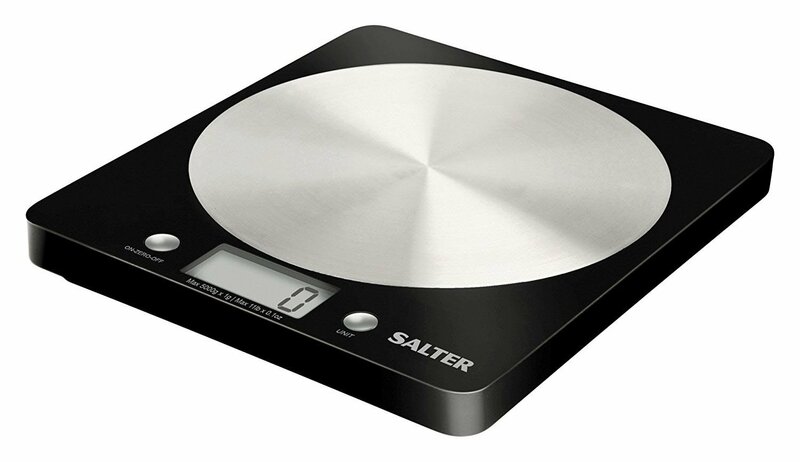 No need for a top of the range set of scales, they all do the same job. Its better to get digital for a more accurate reading, these are a must have for baking or following any recipe for that matter. This set is my preferred choice at home and is seen frequently on the hit series “The Great British Bake Off”. There you have it. Some great essentials for cooking like a Master Chef. I hope these help you as much as they help me in my home. Let me know if you can think of any other things that can help an aspiring cook!